Welcome to the world of digital collectibles where you can breed, sell and purchase virtual cats. The ‘oh so adorable’ factor along with recreational game centered non-fungible ‘one of a kind’ token made most of the blockchain enthusiasts the new ‘crazy cat ladies’. 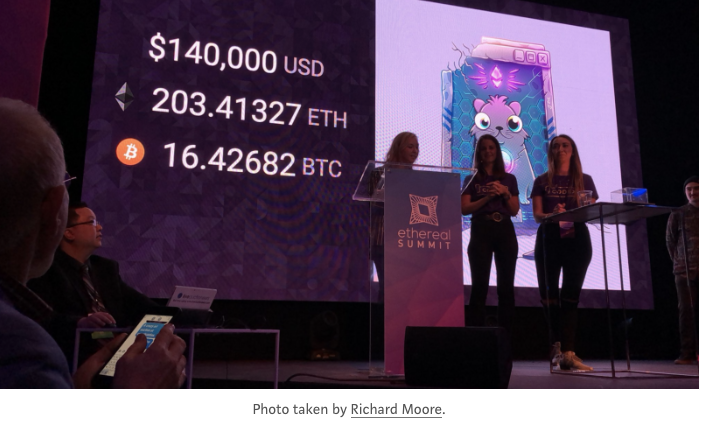 Cryptokitties that was developed at ETHWaterloo hackathon by four Pokemon enthusiast crypto developers, have now turned into a $12M separate business entity backed by Union Square Ventures and Andreessen Horowitz. 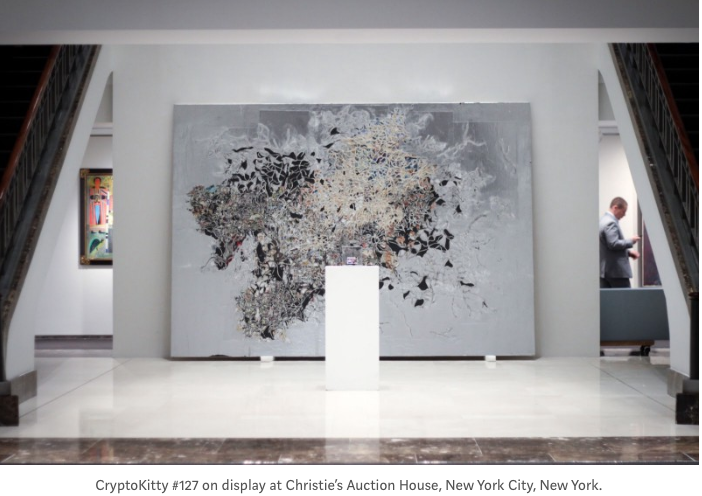 A cat number 127 with pearl gem physical attributes of third order mutation has fetched $140,000 at Christie’s auction last May outbidding crypto hedge fund manager Mike Novogratz. “Mr. Twardowski’s CryptoKitty art piece looked something like a giant computer chip. A pixelated image of a first-generation CryptoKitty was embedded in a physical structure — a hardware wallet assembled by the engineer Richard Moore — that contained an ERC-721 token. 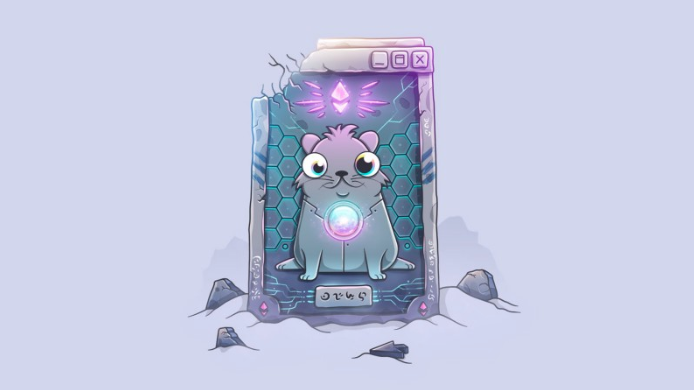 In non-crypto speak, that essentially means there were lines of computer code in the artwork that proved the origin and ownership of the CryptoKitty. (The digital cat itself is purple and goggle-eyed, and around its neck, it wears an attractive orb. )”- New York Times. Many skeptics have called this craze as pricey Beany babies devoid of values. Such comparison have always stemmed out of lack of understanding of emerging technology and cryptoeconomics. Previously, Bitcoin and other cryptocurrencies have been compared with Beany babies, tulip mania and even gold. Such frivolous arguments and skepticism gains legitimacy when new technologies gain enough market share without proper use cases. In this article, I’ll try to look into the various real world use cases of cryptokitties that solve many compelling issues. Such relevance can be understood deeply once we dive into the technical details. Fungible vs non-fungible: Just like our currencies (US dollar, Euro, Pounds etc) Cryptocurrencies are means of exchange, store of value and such characteristics can be maintained through fungibility i.e mutually interchangeable quality. In economics, fungibility is the property of a good or a commodity whose individual units are essentially interchangeable, eg: flour, rice, currencies, oil, precious metals. Why it is so special about being unique in non-fungible token(NFT)? Fungible tokens (ERC20) do not contain any unique data, they are blank tokens hence the interchangeable characteristics. Whereas NFT (ERC 721) are embedded with unique data identity hence creating verifiable decentralized digital scarcity depending on what kind of data you put into it. NFT projects like Cryptokitties, CryptoPunks and Decentralands (unique co-ordinates data embedded within the Land token) are all designed on ERC721 protocol. 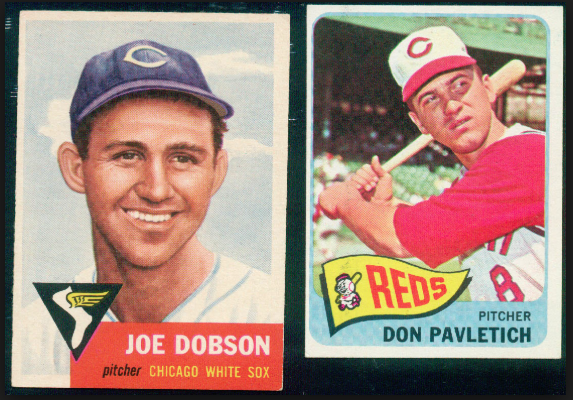 Trading your baseball cards in NFT: The baseball cards that were collected by our grandparents and now lying in the attic are each of one a kind. Each such baseball card can be traded in non-fungible token to bring more true digital ownership with viability and authenticity through blockchain. 🔒 No vulnerabilities found in our smart contracts- this is huge in crypto world. Non-fungible token tied to an existing merchandise valuable merchandise traded in exchanges as tokenized securities creates a huge investment opportunities and a new marketplace of its own. Such digital collectible in sports as well as expensive arts already have an existing ecosystem of scarcity and loyal buyers. Physical Collectible global market size is $200B. Imagine a world of tokenized securities where a digital asset can be owned by multiple owners, traded easily as a NFT commodity in the market and bringing much more capital deployment through democratization and fair play of participation. One of the important factor of such tokenized asset is bringing liquidity to the owners through market appreciation and portfolio expansion. Non-fungible tokens characteristics has the ability to bring innovation in ownership of in-game assets too. 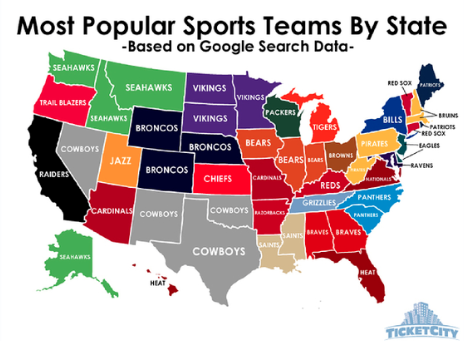 Owning your favorite Sports Team: How cool it will be to own a part of your favorite Sports Team. 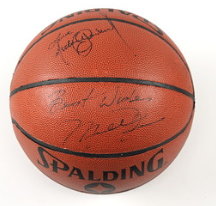 Sports investment has always been top heavy. Tokenized private ownership gives the early liquidity to its investors as well as trust less ownership verification ushering a new opportunity to translate the fan engagement and loyalty into capital deployment. The NFL likes to tout the Green Bay Packers as a publicly owned franchise, and while that is technically true the structure doesn’t provide true ownership for the fans in the way that the blockchain can allow. The capability for individual sports fans to be able to invest in sports franchises around the globe are sprouting up in securitized tokens already and aiming to revolutionize the global sport ecosystem. I have been wanting to write this article since Cryptokitties came into existent and people started questioning their use cases. Thankfully, the talented crypto developers have already been creating and engaging the fans in this new marketplace and hopefully we can bring more capital deployment in this space. I estimate this digital collectible marketplace will be a wallstreet of its own and can be a potential Trillion dollar ecosystem in future. I will not be surprised if our future generation have a trading career out of digital collectibles backed by securitized or highly evolved tokenized assets. Gayatri Sarkar is a General Partner in Blockchain based venture capital fund SportVEST , focussed on investing in future of sports.